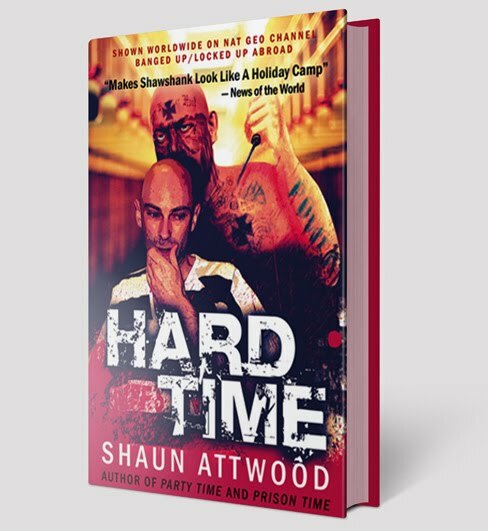 Jon's Jail Journal (by Shaun Attwood): Q28: How Hot Was It In Arizona Jail? Almost laughed at your comment about how it's not the best idea to end up in jail in the desert. 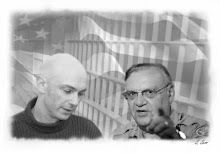 I'm not from Phoenix (thank god) but when I began my first sentence there (six months -- and Sheriff Joe makes sure you do your full sentence) I was in 23-hour a day lockdown in cramped cell. The heat was unbearable. And while temperature is not supposed to be punishment, Sheriff Joe makes no bones about how much he loves to get his prisons so hot they have to strip down to their pink boxers (like the view, Joe?). I didn't have the skin rash problem so much (one mercy there) but sweat also means the cell gets really ripe smelling, if you know what I mean. There was really no way to escape the heat. Chain gang meant working outside under the hot sun. Tent City was a bit cooler but so what? It's still jail and it's still cruel hot. And of course I made it worse by getting high on meth when I could, making it even hotter. It also can get really cold at night during winter months. The cheap blankets don't help much. Sorry you had to go through that. Sorry I did too (well, even I would say I deserved it for the first time in). But the second and third? Sorry anyone has to go through with that.